Description: Janice Y. K. Lee’s blockbuster hit debut novel The Piano Teacher was called “immensely satisfying” by People, “intensely readable” by O, The Oprah Magazine, and “a rare and exquisite story” by Elizabeth Gilbert. And now, in her long-awaited follow-up, Lee explores with devastating poignancy the emotions, identities, and relationships of three very different American women living in the same small expat community in Hong Kong. 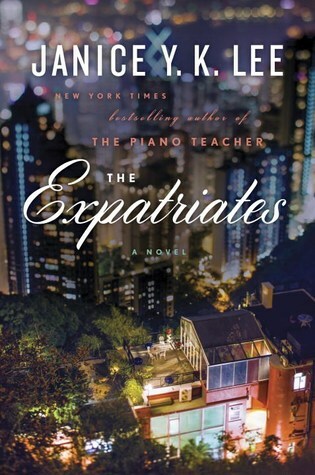 My take: The Expatriates is the story of three women who find themselves living in Hong Kong and connected to each other in unimaginable ways. The synopsis explains it all. What I found compelling was Lee’s way of getting to the core of each woman. They share a similarity or two but each is unique in her circumstances. As they come to understand each other they gain perspective on their own lives. I found myself relating the most to Margaret. I could understand her reaction to the horrible loss. My heart ached for her as I wondered how I would go on after such adversity. Lee’s portrait of Hong Kong’s expatriate community drew me in. In a way, it was like any community here or abroad with people trying to fit in or trying to maintain a sense of where they came from. I liked this novel but thought it wrapped up a bit too civilly. Then again, perhaps that just shows the growth experienced by the women.